Back in 1830, before Facebook, computers and inkjet printers, one of the only ways to announce a public event was through a letterpress printed broadside (more popularly known today as a gig poster). In this workshop, each participant will design and print an editioned poster announcing an event of their choice. Learn the basics of designing typography with wood and metal type, and how to harness design factors specific to letterpress including transparency, metallic inks, and the layering of text, image and texture. 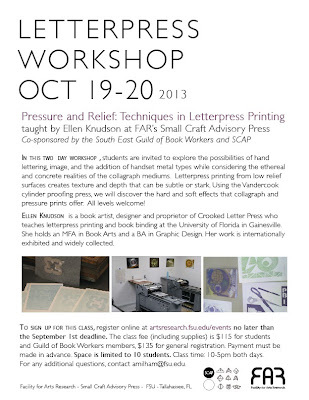 Then, learn how to expertly print handset type using Vandercook printing presses, mightiest of all cylinder presses. The class will also explore the visual history of the broadside/gig-poster over the last 150 years. 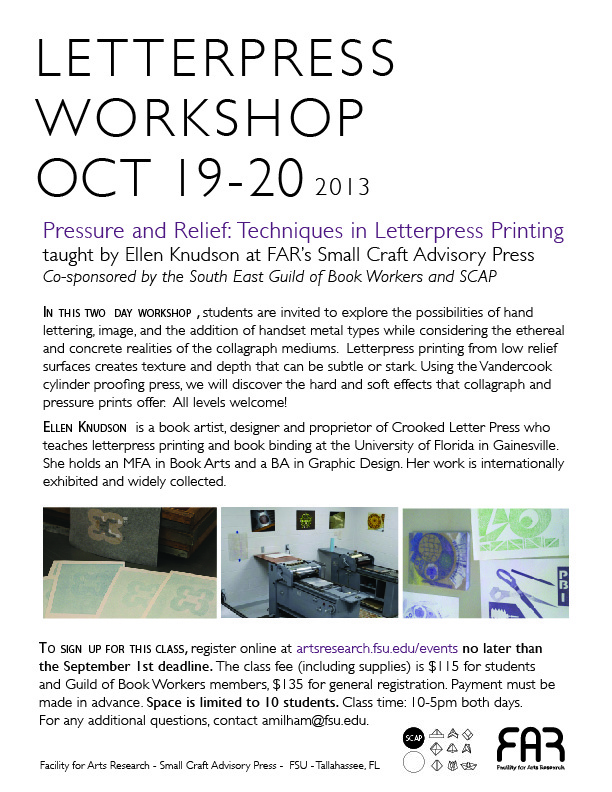 This workshop is brought to you via a collaboration between Atlanta Printmakers Studio and the Southeast Guild of Bookworkers. The member discount is available to members of either organization. Jessica Peterson is a letterpress printer and teacher. Her award-winning artists’ books are collected by special collections libraries around the country, including at Yale University, Emory University, Duke University and UCLA. She is the proprietor of The Southern Letterpress, a printshop in Northport Alabama and is an instructor of book arts and let­ter­press at The Uni­ver­sity of Alabama. 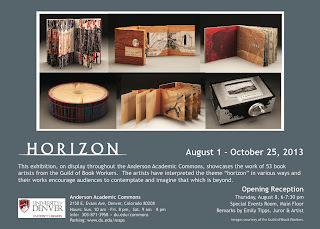 Her creative work has been recognized by The Windgate Foundation and The College Book Art Association. She is the recipient of the 2014 individual artists grant from the Alabama State Council of the Arts and is a featured demonstrating artist at the 2013 Kentuck Festival of the Arts. 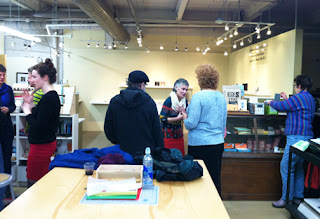 BookWorks rocks! 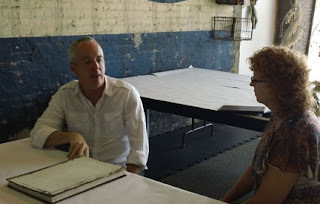 This past weekend I had the great fortune to accompany my wife, Sonja, the SEGBW co-cordinator for workshops and events, to the SEGW talk at BookWorks in Asheville, NC. As you know, BookWorks hosted the First Annual Juried Exhibition for the SEGW. The many fantastic entries were on display. 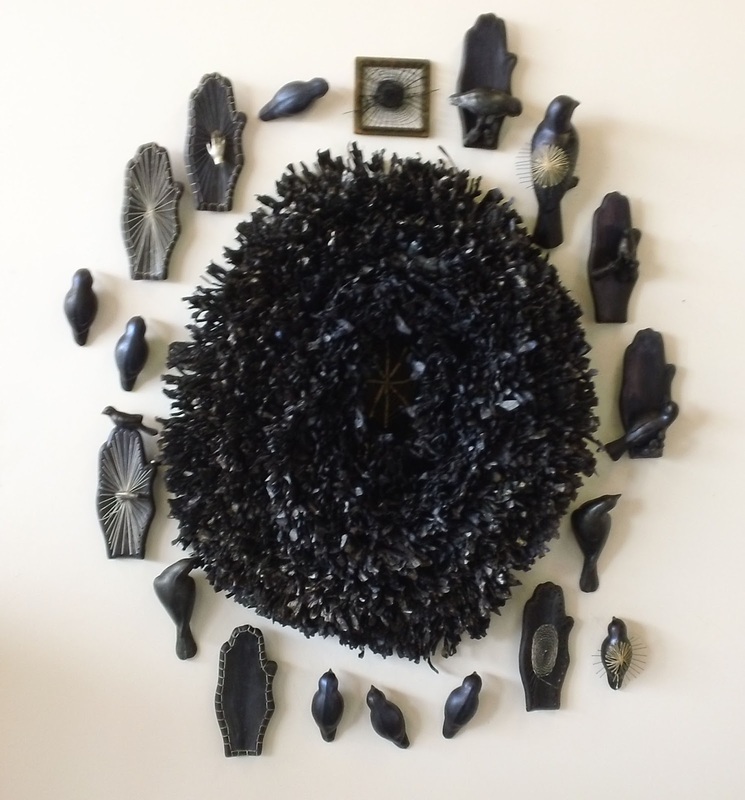 Allison Milham's work "uluhaimalma" won Best in Show for the exhibition. Then, there was BookWorks itself. An impressive space for a workshop with facilities to support everything from paper making, to letter press printing, to binding. Laurie, the owner, has truly built a magnificient shop! Finally, there was the presentation on the SEGW by Sonja. The small intimate gathering of people that braved the winter weather warnings received excellent information on the history of the guild, the latest developments and future plans. The ensuing discussions lasted well over an hour. A great time was had by all. 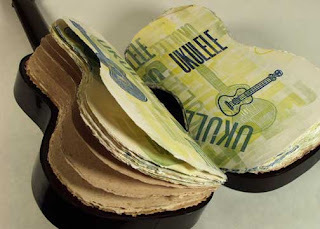 Exciting opportunity to take a one-day workshop with internationally acclaimed artists Peter & Donna Thomas - NESTED ACCORDION POP-UP BOOK & THE SCROLLING CODEX. The workshop will take place on Saturday, March 9, 2013 at Gorgas Library on the campus of the University of Alabama in Tuscaloosa, Alabama and is open to the public. Limited space is available so register early to ensure your spot in the class. Please see the attached PDF flier for more details, including registration information. 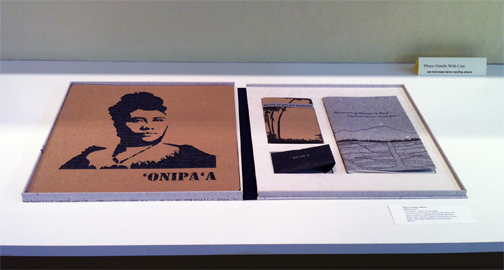 Peter & Donna Thomas are book artists, papermakers, and letterpress printers who write, illustrate, and bind their own books. They are also authors of More Making Books by Hand and 1,000 Artists' Books. Based in Santa Cruz, California, they are currently traveling around the USA in their Gypsy Wagon (they think of it as a traveling artists' book) teaching classes, giving lectures, and selling books. 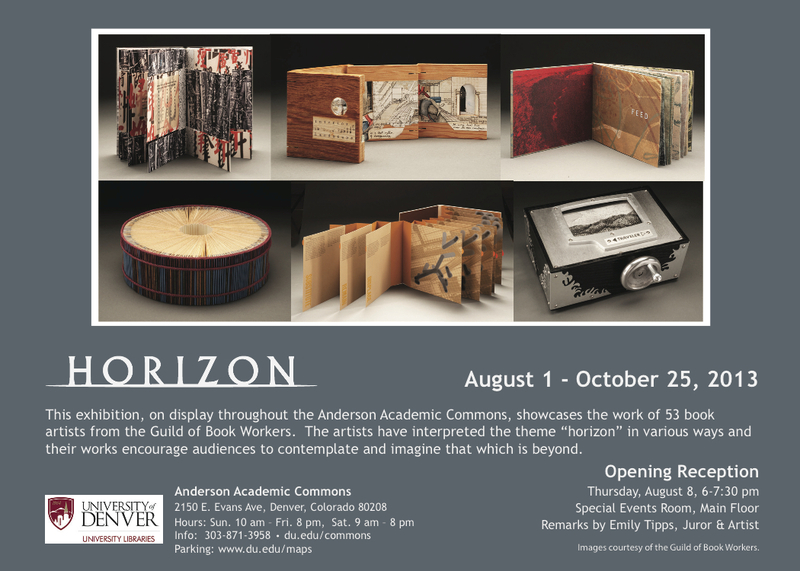 Since 1976, Peter & Donna Thomas have worked collaboratively and individually, making paper, letterpress printing, and book binding, to create books. 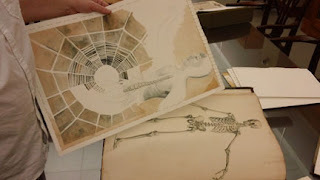 Their books have been shown in individual and group exhibitions in the USA and abroad, and have been purchased for collections around the world. 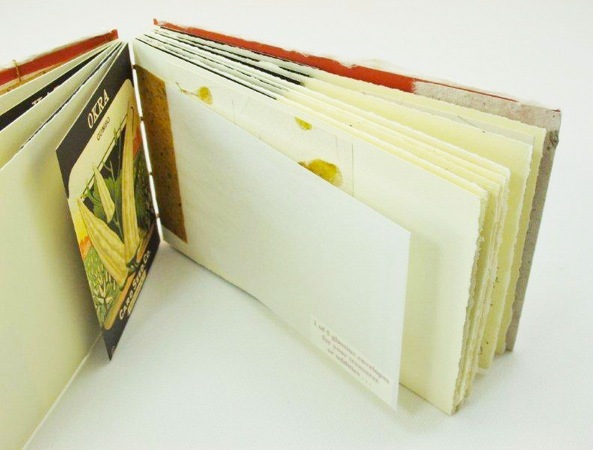 Investigate the artist's book through innovative book structures that have been developed and explored in depth by the instructors. 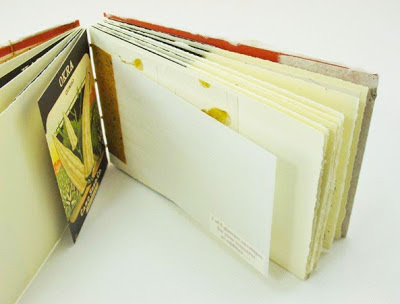 Participants will make two of the artist book structures described in the Thomas' book More Making Books By Hand published in 2004 by Quarry/Rockport Publishers. Please share this upcoming opportunity with your colleagues and students. and The University of Alabama's MFA in the Book Arts Program.